I love how God can use just about any circumstance to accomplish His purposes. In the spring of 2011, I suddenly found myself in bed for two days after I injured my neck with a simple stretching exercise. As I lay in my bed in Spain, unable to move my head to the left or right, I decided it would be a good time to get caught up on Facebook. 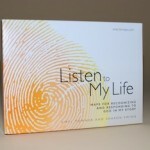 A simple comment on a friend’s wall led me to a link to Sibyl Towner and the Listen to My Life resources. I couldn’t believe what I was reading! Two years earlier I had read the book, Let Your Life Speak, by Parker Palmer, and was wrestling with whether I was living the life God had ordained for me. The material in Listen to My Life seemed to resonate with the journey I was on, so when I discovered there was going to be a workshop in the fall of 2011 when I was already scheduled to be in the US, I knew God was in it! Recently, God spoke to me through this passage in Ezekiel 47:12. It says, “Fruit trees of all kinds will grow on both banks of the river. Their leaves will not wither, nor will their fruit fail. Every month they will bear fruit, because the water from the sanctuary flows to them. Their fruit will serve for food and their leaves for healing.” My time at the Fall 2011 workshop for Listen to My Life at the MaryTown Retreat Center was literally "water from the sanctuary" for my soul. I had left Spain depleted and discouraged after years of seemingly unfruitful ministry in this spiritually dark land where so many people know WHO God is, but so very few KNOW God. Working through the maps and listening to God reveal Himself through the different maps as well as 3-way listening was so therapeutic for me. I came away with a stronger sense of who God created me to be and how He can use me to be fruitful in the ministry He has called me to here in Spain. I look back and realize God introduced me to Listen to My Life to better equip me to provide spiritual nourishment and healing to my dear Spanish friends. I am still waiting to see how His plan for using Listen to My Life will unfold for me now that I am back in Spain, but for now I am satisfied that the work He began in me through Listen to My Life will be of great benefit in His plan for Kingdom-building in Spain. What tools has God used to help you draw nourishment from Him? What does "water from the sanctuary" look like in your life? How does the fruit in your life serve as food and healing to the people in your life? Thank you, dear God, for being my sanctuary. Thank you for allowing me to get water from your sanctuary, so that I can be fruitful. Thank you for being the source of my fruitfulness. Forgive me for the times in my life when I do not have my roots as firmly planted as they should be. Forgive me when I forget to go to You for nourishment and try to do things in my own strength. Thank you for patiently drawing me back to You when I let myself get uprooted. Help me, dear Jesus, to be rooted in YOU each day. Help me to be the person who, " trusts in You and has their confidence in You" so that " ... I will never fail to bear fruit." (Jeremiah 17:8) Amen.